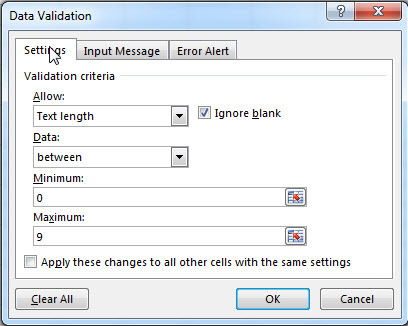 You can use Data validation to control what can be entered into a cell. such as: just allow to be entered positive numbers, only allow to be entered Whole number between 0-9 in cells, just allow to be input the text that the length is less that 10 characters. 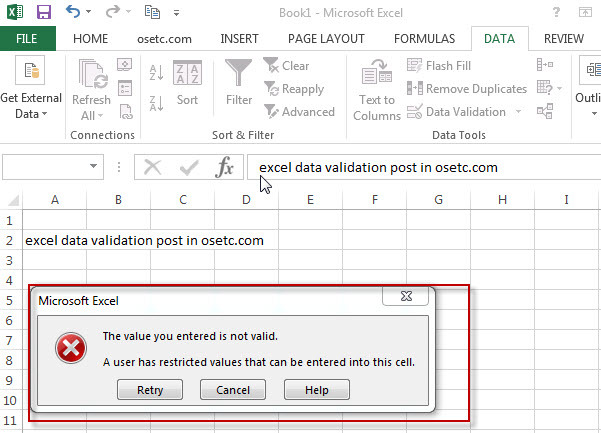 This post will guide you how to use data validation in excel cells. 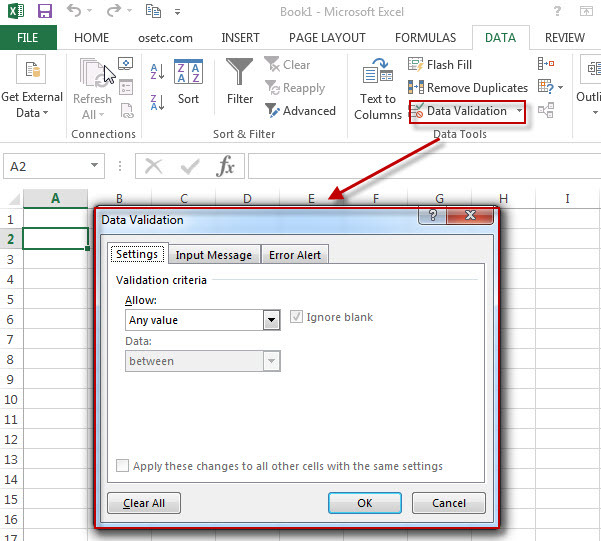 Step2# Go to “DATA” tab on the ribbon, then click “Data Validation”, Data Validation window will appear. 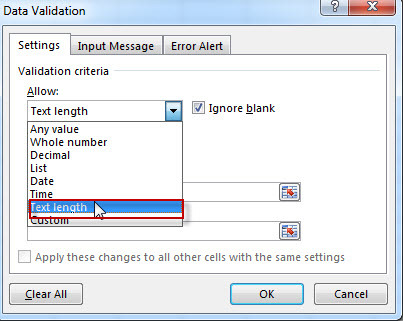 Step3# Select “Text length” from“Allow” drop-down list. 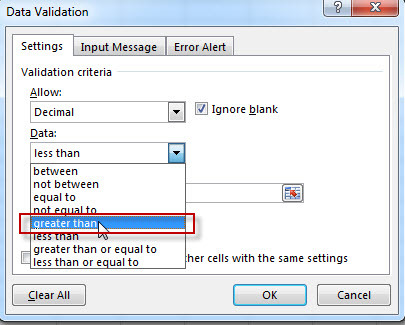 Step4# Select “less than” from “Data” drop-down list. Step5# Enter the length value that you wish to restrict. This example need to input “10”. Step6# Once you enter the characters is more than 10, one error dialog box will appear, it will let you know that the value you entered is not valid. 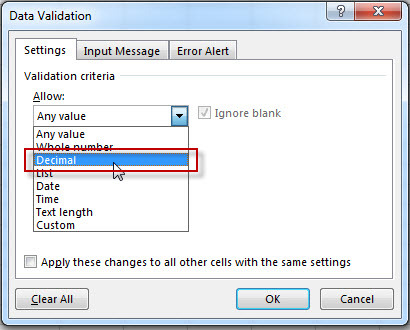 Step2# Clicking “Data Validation” command in “Data Tools” group in “DATA” tab. 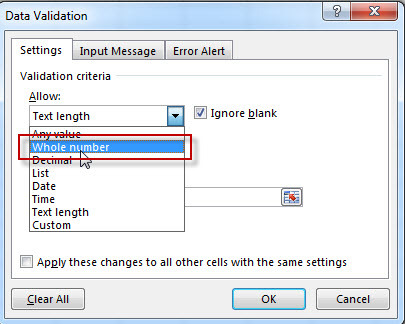 Step3# Select “Whole number” from“Allow” drop-down list. Step4# Select “between” from “Data” drop-down list. 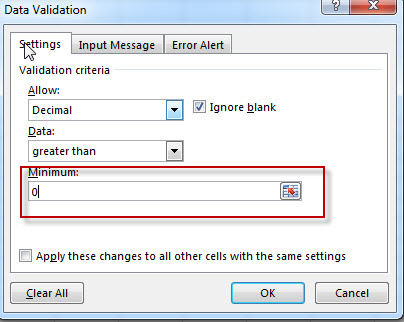 Step5# Enter “0” value in “Minimum” text box, and enter “9” value in “Maximum” text box. Step3# Select “Decimal” from“Allow” drop-down list. 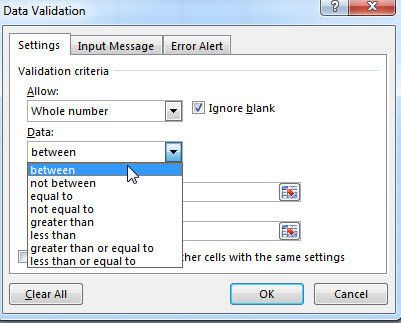 Step4# Select “greater than” from “Data” drop-down list. 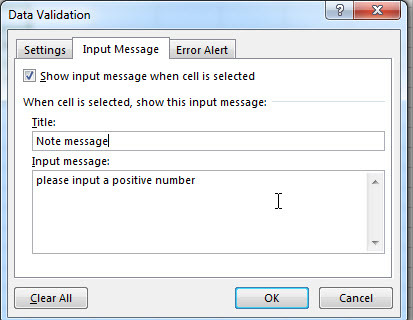 When you select the cell that set up data validation, the input message will showThe “Input Message” is enabled by default, but there is no any Input message. 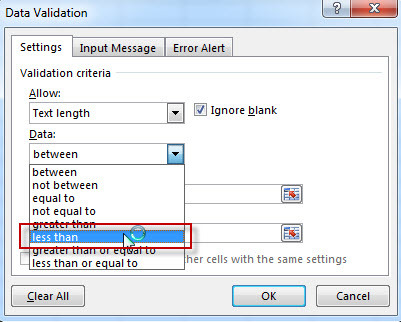 The below steps will guide you how to define the Input Message. Step4# let’s see the result. 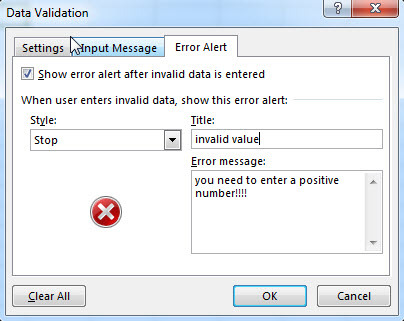 When user enters invalid data in cells , one Error Alert box will appear. 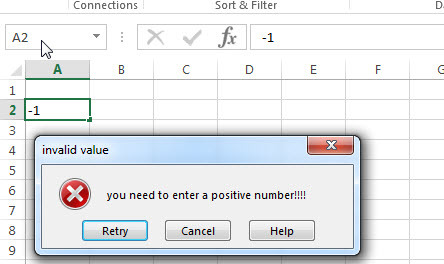 The alert message will show you that the value you entered is not valid. This following steps will guide you how to define Error message. 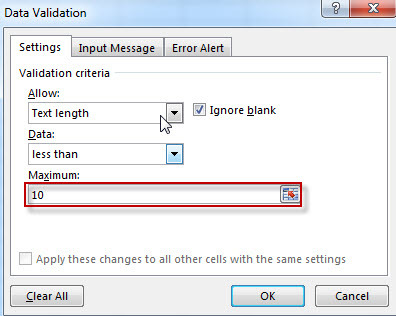 Step3# click “Error Alert” tab, enter messages in “Error message” text box, click “OK” button.